Despite the snow and web site downtime this was one of our best auctions since we started in 2003. Thank you very much for braving the weather particularly those coming from the snow fields north of Winchester! Fortunately we only had 315 lots to sell, as the slide show computer had a mind of its own for the first 20 minutes of the auction. A collection of silver which produced the best lot of the day. A Mappin and Webb Art Deco tea set comprised of: tea pot, milk jug and sugar bowl. This sold for £320. A collection of wrist watches including a Longines Flagship Automatic Gentleman’s Wrist Watch lead the way, selling for £210. A large collection of pocket watches and the best lot was Seven Silver Pocket Watches, which sold for £140. 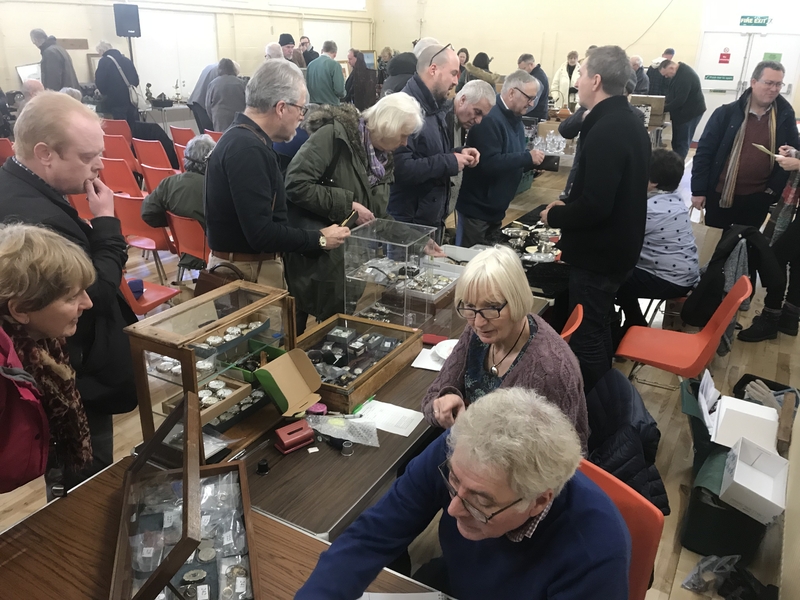 Our next auction will be on Saturday 2nd March at Otterborne Village Hall between Winchester and Chandlers Ford. We look forward to seeing you there. If you are selling please book a table with Claire on 01962 734941 or info@auctionsinaday.co.uk .